It was during her high school years at the school’s library that she first encountered her first romance mystery writer – Ms. Victoria Holt and then Ms. Phyllis J. Whitney. Her love of romance novels stems from those discoveries, especially the Romance mystery genre. Several of her poems have been published in anthologies, and she was named “Poet of Year in 1995”. She finished her first book, The Vicar’s Deadly Sin – a Regency romance mystery, the first of a seven-part serial based on the Seven Deadly Sins. Currently, she is editing the sequel to the Vicar’s Deadly Sin, Angel’s Lust. She has begun work on a new contemporary romance thriller called A Hero of Her Own. 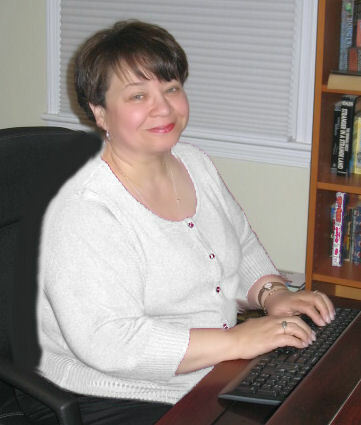 Ms. Perez is a member of the Romance Writers of America and the Washington Romance Writers.